For all your shotgunning needs. Manufactured by top-of-the-line Nobel Sport of Italy. 27 pellets of No. 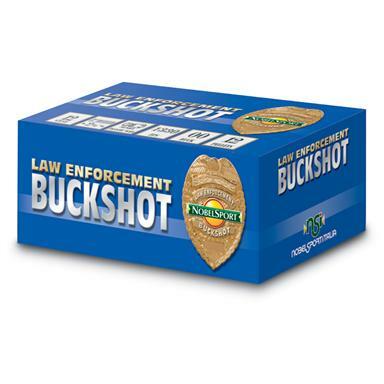 4 buck shot. Premium Nobel plastic wad. Muzzle velocity: 1,325 F.P.S. Packed 10 rounds per box, 250 rounds per case. Nobel Sport, 12 Gauge, 2 3/4 Shell, No. 4 Buckshot, 27 Pellets, 10 Rounds is rated 4.8 out of 5 by 23. Rated 5 out of 5 by Conservative Shopper from Great Ammo, Great Price Great Service As usual Sportsman's Guide delivers. Great shooting ammo. Service was excellent!Keep up the good work!!! Rated 5 out of 5 by SlimJim from Great price and performance No. 4 buckshot is probably the best buckshot for home/self defense yet can be hard to find, and even harder to find at a great price. This is excellent buckshot, at an excellent price. It cycles great in my Tristar raptor semi-auto and groups very well. Rated 5 out of 5 by 1234 from # 4 buckshot, good price. 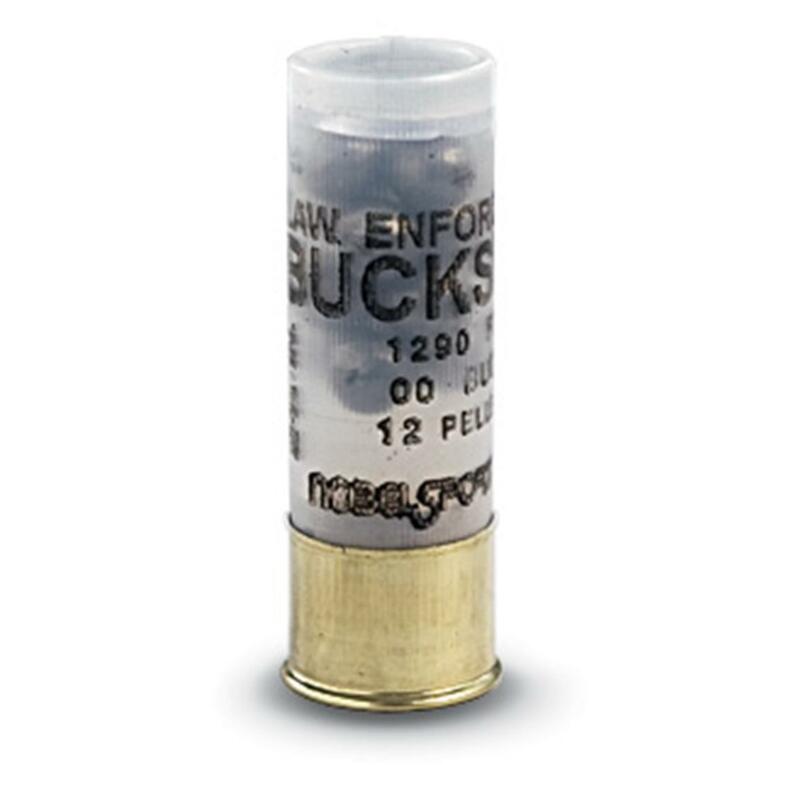 Rated 5 out of 5 by JMD1189 from Great Ammo At 1290 FPS, it's got more than enough speed for Home Defense and, with 12 pellets instead of 9, that small increase could just be the thing that saves your life. I've used this to pattern and I Love This Nobel Law Enforcement in 00 Buck and No 4Buck as well. You can NOT go wrong with either!!! Rated 5 out of 5 by JIM from Great product for the price.